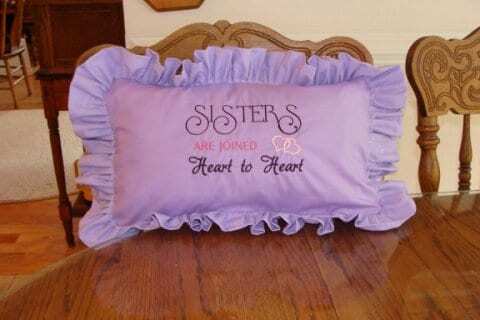 Beautiful pillow with saying “Sisters are Joined at the Heart”, complete with ruffles. This adorable pillow will be a comfort to any sister who is lucky enough to receive it. Complete easy to follow directions included in download. Fits the 5×7 hoop.